CL Taylor and Sarah Pinborough will be reading from and discussing their gripping psychological thrillers. For those of us who have enjoyed the contemporary re-imagining of Conan Doyle’s Sherlock Holmes on TV here are two novels that take place in Sherlock’s world but with imaginative twists! In the wake of recent Le Carre adaptations of The Night Manager and Our Kind of Traitor, British espionage fiction is enjoying a bit of a renaissance. Here, we bring together two of the best writers in the genre. Victorian Edinburgh and London provide the setting for these ripping gothic tales. Frank Gardner OBE is currently the BBC’s Security Correspondent. Well known for his reporting from all over the world, he has recently turned his hand to thriller writing. Die of Shame is the spectacular new book from number one bestseller Mark Billingham – author of Time of Death and In the Dark, both soon to be major BBC series. We are so excited to be welcoming the legendary queen of crime back to Aye Write! with her latest novel Out of Bounds. The internet is constantly providing new opportunities for crime, and the parameters of what is possible are explored in these two topical crime novels. 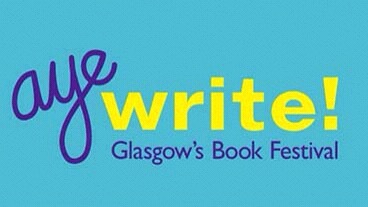 This session will bring some of the best award-winning Scandi crime writers to Aye Write! – Roslund and Hellström, Kati Hiekkapelto and Antti Tuomainen. This crime event brings together one of the founders of Bloody Scotland, Two of the infamous Slice Girls and the host of Noir at the Bar! 2017 marks the thirtieth anniversary of one of crime fiction’s greatest characters, John Rebus, created by one of the world’s leading crime writers, Ian Rankin. MC Beaton – Death of a Ghost. The Long Drop is an extraordinarily unsettling, evocative and compelling novel based on the infamous case of Peter Manuel. Three top notch crime writers discussing their emotionally gripping new thrillers. Chris Brookmyre introduces two addictive new crime writers, Daniel Cole and Helen Fields. Visit 1950s Glasgow, 1940s Arkansas and 1970s London in the latest novels from these cracking crime writers! This session brings together two young crime writers, Vaseem Khan and Abir Mukherjee who have chosen India as the setting for their novels. Interweaving conversations and stories of crime with findings from the latest research,the latest books by Tom Gash and Neil Woods make fascinating reading. Crime writers Ann Cleeves and Lin Anderson will be discussing their latest novels.